This is my first blog post about coins, but it’s another of my (geeky?) hobbies. However, as my type-set collection has grown, I’ve hit a wall where most of the remaining absences in my collection are far too expensive for it to remain a hobby! However, each spring (or so), I get my mint proof set and I’m usually rather thrilled. This time, however, I opted to get a pair of sets and break up one of them. 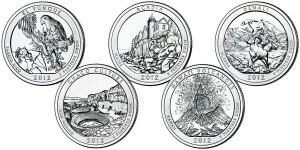 The 2012-S coins are utterly beautiful and I’ve already added the quarters to my collection. It’s so much better than getting uncirculated coins (which I did for several years) and ultimately completely worth it. 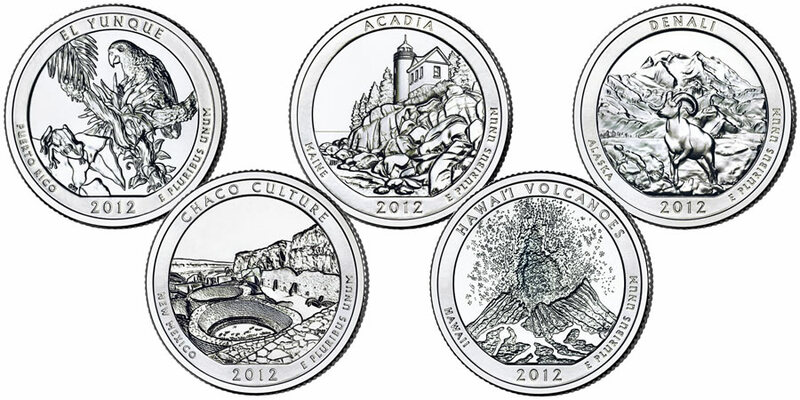 With the 50 state quarters and 6 territory coins, the 44-coin set of America The Beautiful quarters will bring this tally up to 100. It’s madness. Anyways…just a blog update that I collect these too.